After the rain, the storms, the wind, the sun is back. This is the Sablettes beach yesterday - a beautiful blue sky but broken canoes and a load of detritrus washed up onto the sand. Menton got off easily though. 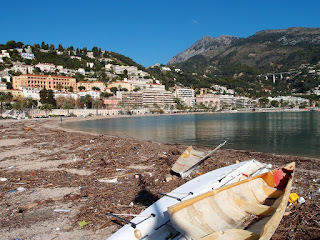 Roquebrune has far more problems with destroyed beaches and sadly in the Var (the next department along from the Alpes-Martimes) they suffered terrible flooding and 7 deaths. A local canine is more than happy to help move some of the driftwood. You can see more of Scott at Riviera Dogs. Après la pluie, la tempête, le vent, le soleil est de retour. Voici la plage des Sablettes hier, sous un beau ciel bleu mais avec des canots brisés et une couverture de détritus échoués sur le sable. Menton s'en sort bien. 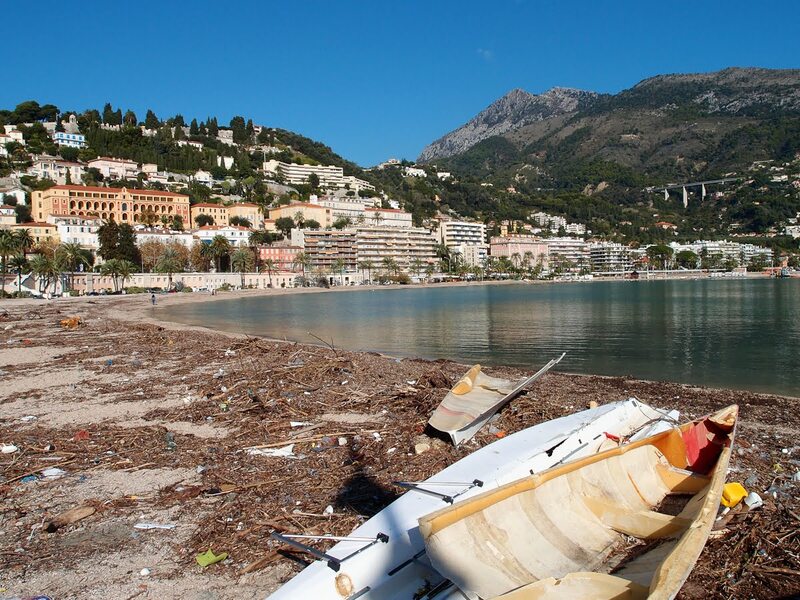 Roquebrune a eu beaucoup plus de problèmes avec des plages détruites et malheureusement le Var ( département voisin des Alpes- Maritimes ) a subi de terribles inondations et on y compte 7 morts. Un chien de la ville est plus qu'heureux d' aider à déplacer une partie des bois flottés. Vous pouvez en savoir plus sur Scott plus dans Riviera Dogs. There'll be a lot of cleaning up to do - it could have been worse, though. Sorry about the damage and casualties. 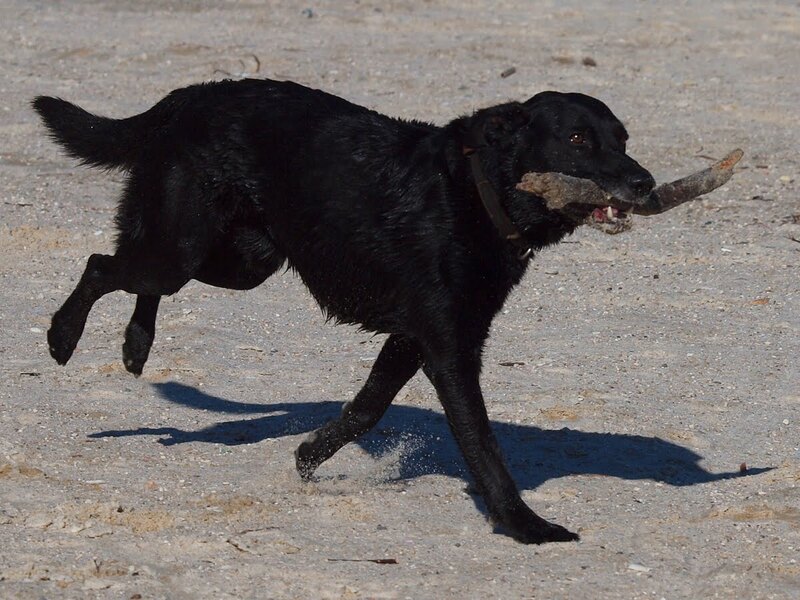 I love photographs of dogs playing on the beach, and have posted quite a few on my site, as you know. There is something liberating and joyful about dogs romping on the beach. fascinating contrast between the tidy hillside and the littered beach. wonderful dog. heartbreaking news. What a huge mess the storm and rain left behind! I feel so bad that the death toll now stands at 7! Fortunately, the rain managed to make place for the sun .. Hopefully it stays quiet now. Your "catchy" images, have made ​​history. Gosh Jilly, I can't believe the state the beach is in. The mess and broken canoes do talk about how hard the storm hit. I'm glad no bigger boat landed on the beach.